Date: Apr 17 2019, 5 p.m. - 6 p.m. Looking to improve your golf skills or perhaps a fun way to spend time with your friends? 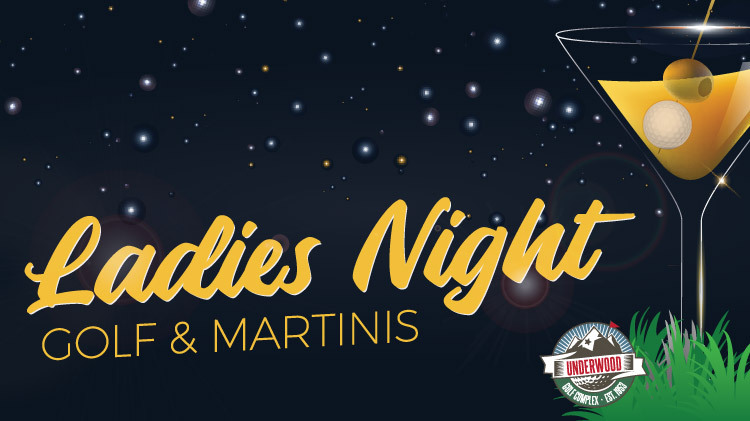 Join the Underwood Golf Complex for their "Ladies Night Golf & Martinis", an evening of learning and practicing golf while relaxing and having a good time with your friends! This is a new social event so make sure to book your spot! This event is open to the public, ages 21 and older. Reservations are required. Sign up at the Pro Shop before the end of business day prior to the event. For more information, call 915-568-1059. $25 per participant includes one martini, and one hour of golf instructions.